Did you switch out the car seats into the SUV? Did you pack sunscreen? What about bug spray? Oh shoot, we need to bring Lil’ Bear or else Ella will be in full-on riot mood at bedtime. All parents know how difficult it can be to just get out the door for family outings, and sometimes the challenges associated with having young children can feel very restrictive for active, adventurous families. But fear not! Once your little groms get to the toddler stage there are very few trips that you can’t do. In fact, regular camping trips at the crag, river, or up in the mountains will do wonders for the whole family. Just make sure you take lots of photos to capture the look on those innocent eyes the first time they peer into a campfire, see wildlife, and wake up in a beautiful natural setting and realize that the biggest playground in the world is waiting just outside their tent. Here are seven tips to ensure that your family camping trip runs smoothly, leaving everyone in with a big smile and hatching plans for your next adventure. Before you take that two-hour drive up to the mountains, it’s wise to do a trial run in your backyard. You can make sure your tent and other gear is in good shape, figure out (or remember) how to set it up without headache, and to see how the little one(s) do with a night of camping. Any hiccups can easily be remedied by simply heading back inside, and then you can plan accordingly for the real trip. 2. Planning and Preparing for "the Trip"
There’s nothing more exciting to little kids than helping mommy and daddy plan something big. It makes them feel important and creates buy-in on their part. With that said, give them options of where to camp and what activities to do while out there and see what interests them the most. Involve them in the packing—have them stuff their sleeping bags, pack their daypacks, and help plan the menu. Allow them to take a toy or two instead of being firm on the issue that nature provides the best toys (they will figure that out on their own). Show them how to double check gear. These are all good lessons and will help make your kids more self-sufficient at an earlier age. And above else, always go heavy on the snacks. More snacks equals more fun. 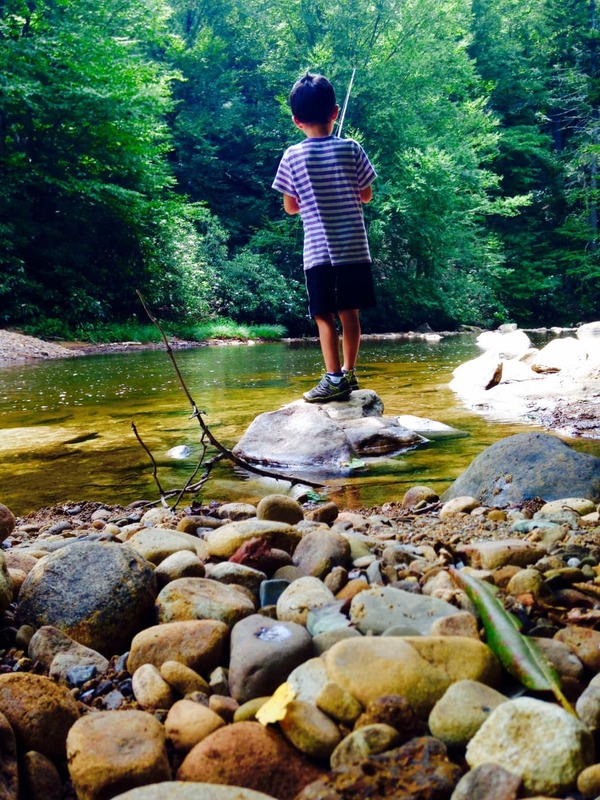 The goal of camping (especially for the first time) is to reel them in and give them a lifelong love of the outdoors, right? So when you are planning where to stay, look for a place with lots of fun. Check the state park service website where you live to find the best options. Build up the excitement as you inch closer to the camping date. Find a few videos of some of the activities you might do while out there. Explain to kids what s’mores, banana boats, and open fire cooking is all about. Go outside one night to look at the stars and explain to them that where you’ll be camping will be even darker at night and that they will be able to see the stars and moon even brighter out there—and if they are lucky they might just see a shooting star. Play around with your gear at the house. Have everyone one night play hide and seek with their headlamps on. Trust me on this, if you make your kids think that the lead up to the trip is as fun as the actual trip, they will be sold for life. It’s all about making memories. 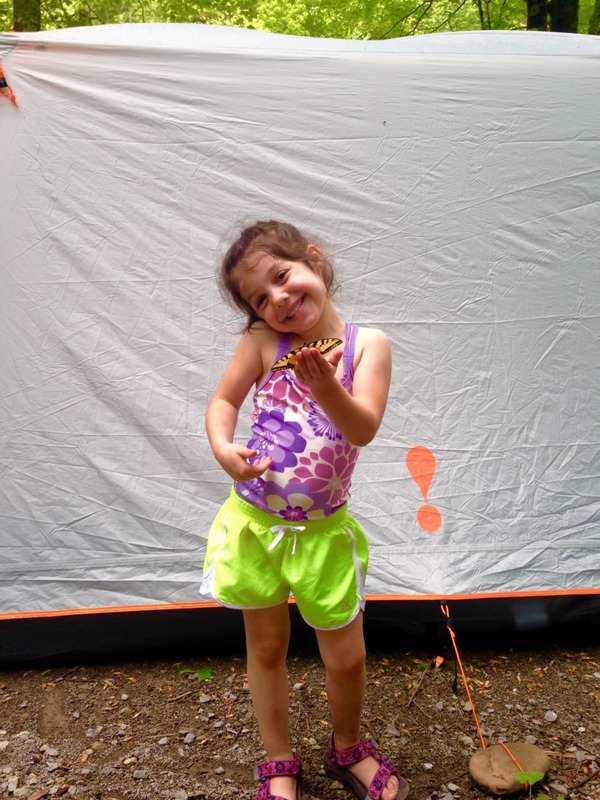 The only thing better than a successful camping trip for kids, is a successful camping trip with other kids their age. Invite another family or two who have kids the same age as yours to camp with you, have each of your kids bring their best friend to go camping with you, or invite cousins to come out. This helps make things easier and can help to reduce the inevitable sibling fighting that will take place at some time during the trip. Just make sure that you don’t go overboard on the number of kids and keep the adult to kid ratio close. Too many kids and not enough adults can be a recipe for one big headache. Bikes will prove handy when heading from your camp to the lake, the river, or the trailhead. 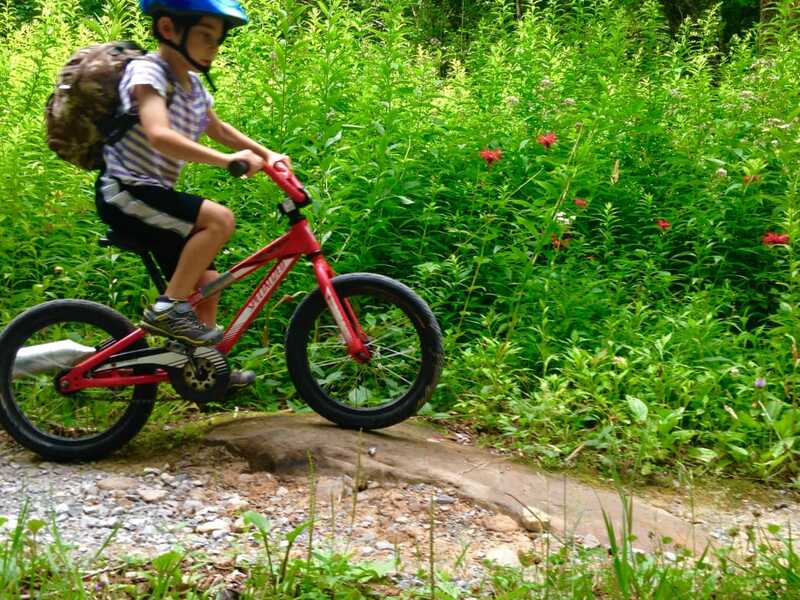 Not to mention, campgrounds are some of the best places for kids to rally their bike around without worrying about vehicles. Their bikes become a vehicle for exploration and the entire campground becomes an adventure. To watch "Little Johnny" race, make up obstacle courses, and practice skids around the campground makes you realize that this is why you brought them out here. It’s a beautiful thing to see your little ones not ask for the tablet for once and instead move from one activity to the next. You can pretty much count on the fact that things won’t go exactly as planned, so always have a backup plan to the backup plan. Don’t sweat the small things and instead just go with the flow, letting the kids dictate the pace of the day. If you are really craving that solo trail run, bike ride, or quick fishing fix, then take it and make sure you come back ready to cater to the family. After all, family camping trips are meant to build family memories and are more about making sure the kids have a good time so that they want to do more of it in the future. Before you know it, Little Johnny and Little Ella will be the best adventure partners you’ve ever had and they will be the one dragging you out for off the beaten path adventures. Things will come full circle and you’ll look back on those early memories and smile and think to yourself, "yup, we did ok."
Written by Joe DeGaetano for RootsRated.